On this page you can consult informations about distances and roadmaps from Cairns International Airport to major cities and places in Australia. 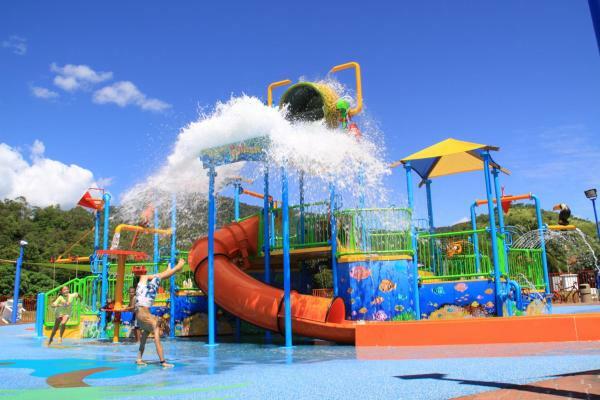 A 10-minute drive from Cairns CBD, Whiterock Leisure Park offers affordable accommodation in natural surroundings. Cairns Airport is a 15-minute drive. There is an outdoor pool and a BBQ area. Laundry facilities and internet are available. This hotel is 9.33 km from city center. 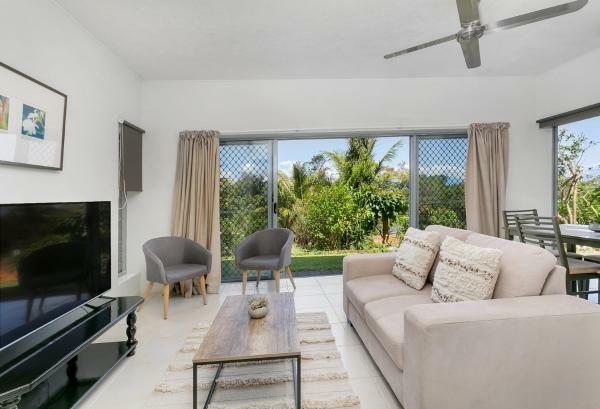 Cairns Golf Course Apartment is situated in Cairns, 7 km from Cairns Convention Centre, and an outdoor swimming pool and a tennis court are accessible on-site. Located 7 km from Cairns Rainforest Dome, the property features barbecue facilities. This hotel is 9.22 km from city center. 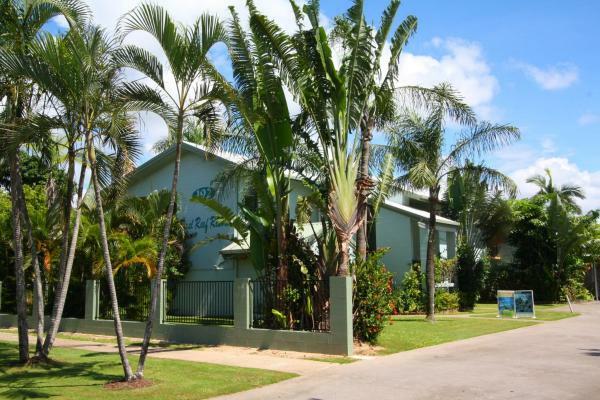 Situated in Cairns, Trinity Links Resort features free WiFi and units fitted with a kitchen, seating area, terrace and flat-screen TV. A dishwasher and oven are also available, as well as a kettle. The property has a spa centre. This hotel is 9.22 km from city center. Set amongst 28 acres of landscaped tropical gardens, this award-wining resort features a family friendly water park, plus tennis courts and mini golf. 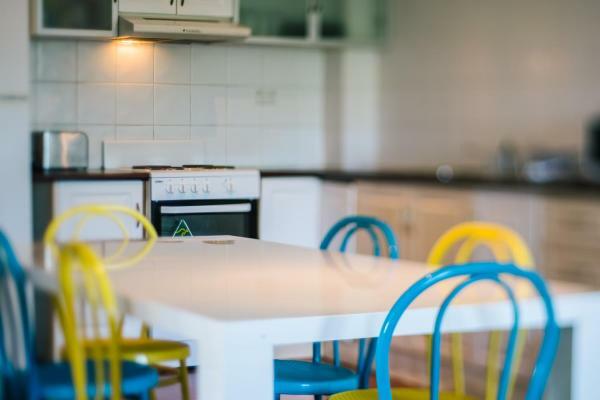 Each accommodation unit includes cooking facilities. This hotel is 9.23 km from city center. Situated on 5 acres of tropical gardens, Cairns Gateway Resort offers free on-site parking and a variety of facilities, just 8 km from Cairns. The resort is built around a resort-style pool with a waterfall. This hotel is 9.20 km from city center. Located just 6 minutes’ drive from Cairns city centre, Cairns New Chalon offers an outdoor lagoon pool and free on-site parking. Each of the air-conditioned rooms features a flat-screen TV, a refrigerator and microwave. This hotel is 8.33 km from city center. 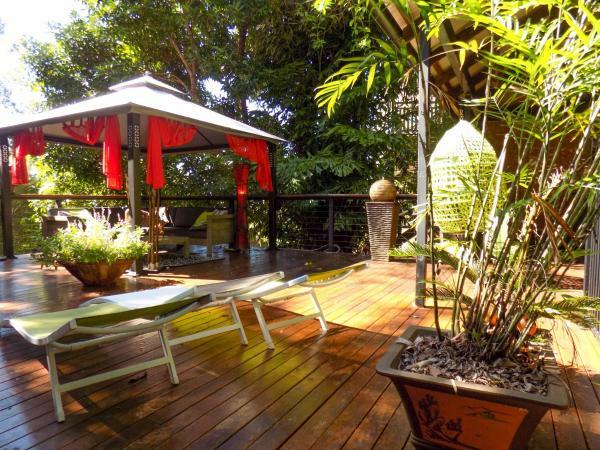 Treetops Retreat Cairns is a beautiful tree house on an acre of stunning rainforest. Stay in the treetops in the world heritage listed Crystal Cascades Rainforest, walking distance to waterfalls, swimming holes and bush walking tracks. This hotel is 10.47 km from city center. Aurora Luxury - City, Mountain & Ocean Views is situated in Cairns, 7 km from Cairns Convention Centre, 8 km from Cairns Rainforest Dome, and 8 km from Cairns Regional Gallery. The holiday home is 8 km from The Cairns Civic Theater. This hotel is 8.34 km from city center. This 4-star hotel offers stylish accommodation with free WiFi. Offering easy access to the city centre, it is just 15 minutes' drive to Cairns Airport and the central shopping centre. This hotel is 7.98 km from city center. 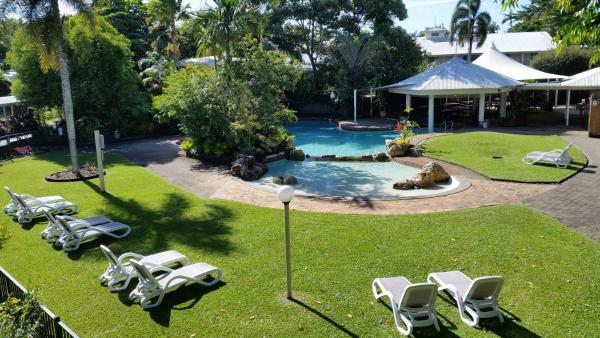 Cairns Reef & Rainforest B&B, a property with an outdoor swimming pool and barbecue facilities, is set in Cairns, 9 km from Cairns Convention Centre, 10 km from Cairns Rainforest Dome, as well as 10 km from Cairns Regional Gallery. This hotel is 8.33 km from city center. Offering free WiFi and mountain views, The Treehouse is an accommodation set in Woree. Boasting a terrace, the holiday home is in an area where guests can engage in activities such as cycling and hiking. This hotel is 8.37 km from city center. 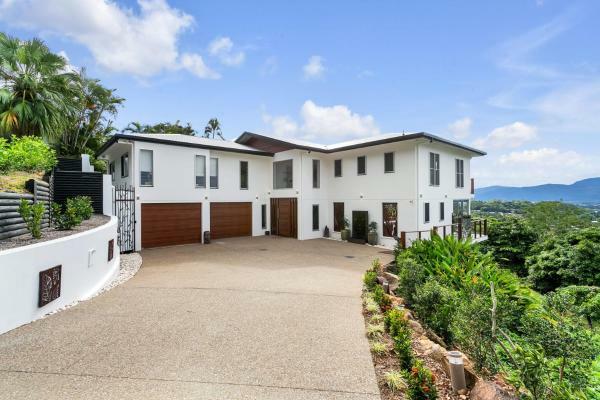 Amongst The Treetops - Six Bedroom Luxury Home is situated in Cairns. The accommodation is 8 km from the Cairns Convention Centre. The holiday home is equipped with 6 bedrooms and a fully fitted kitchen with a dishwasher. This hotel is 7.77 km from city center. 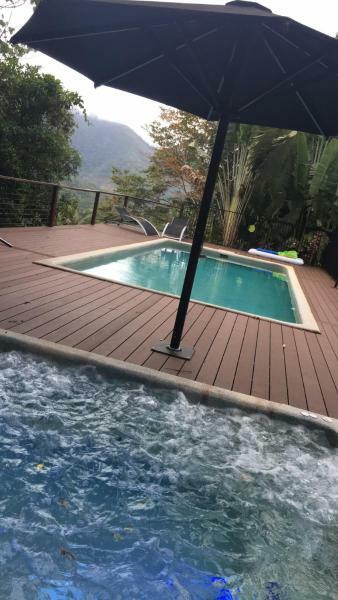 Set in Cairns, 19 km from Cairns Convention Centre, 16 km from Cairns Flecker Botanic Gardens and 18 km from The Cairns Civic Theater, The Retreat: Private Luxury Resort Home features accommodation with a terrace and free WiFi. This hotel is 9.43 km from city center. Cannon Park Motel offers free WiFi, free parking and comfortable accommodation conveniently close to the main road, Bruce Highway. It is a 5-minute walk from the local shopping centre and 7 km from central Cairns. This hotel is 7.23 km from city center. Offering a restaurant, a bar and a children's playroom, Balaclava Hotel is an 8-minute drive from the Cairns Esplanade. It features air-conditioned rooms with cable TV. All rooms have a refrigerator and an electric kettle. This hotel is 6.15 km from city center. 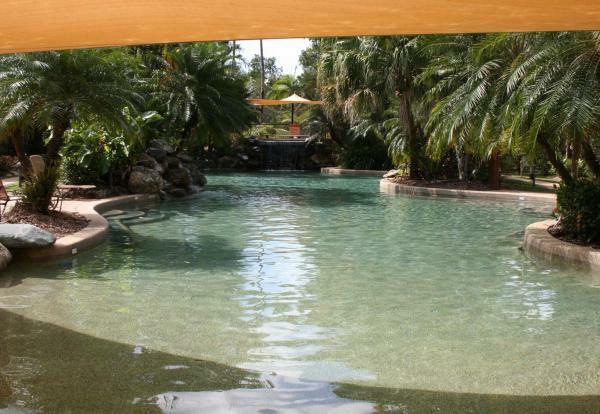 Located on the south side of Cairns City, this hotel offers free WiFi, a swimming pool and a restaurant. Cairns Southside International is opposite a shopping centre and cinema complex. This hotel is 6.15 km from city center. Located less than 5 km from Cairns city centre, First City Caravilla offers holiday cabins with flat-screen TV and cooking facilities. Guests have access to an outdoor pool, and free WiFi. This hotel is 6.04 km from city center. 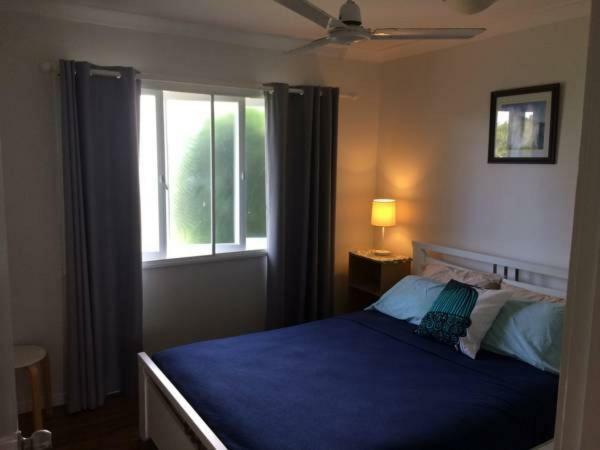 Hidden Gem on Juno - Private One Bedroom Apartment is situated in Cairns, 8 km from Cairns Convention Centre, 6 km from Cairns Flecker Botanic Gardens, as well as 7 km from The Cairns Civic Theater. This hotel is 6.77 km from city center. 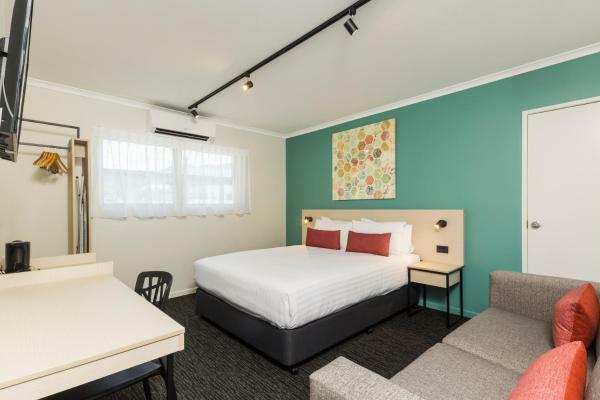 Located in Cairns within 3 km of Cairns Convention Centre and 2.7 km of The Cairns Civic Theater, Motel Nomad provides rooms with free WiFi. This renovated 3-star motel offers room service. All rooms have a balcony with a garden view. This hotel is 5.58 km from city center. 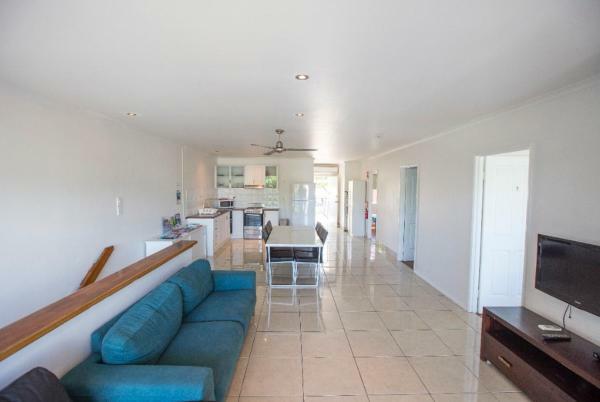 Situated in Cairns in the Queensland region, 3 Bedroom Apartment // Spence St has a balcony. Guests staying at this apartment have access to a fully equipped kitchen. This hotel is 5.43 km from city center. Set in Cairns in the Queensland region, 3 Bedroom Apartment / Spence St features a balcony. Guests may enjoy free WiFi. This air-conditioned apartment has 3 bedrooms, a TV, and a kitchen with an oven. Cairns Convention Centre is 2. This hotel is 5.43 km from city center. 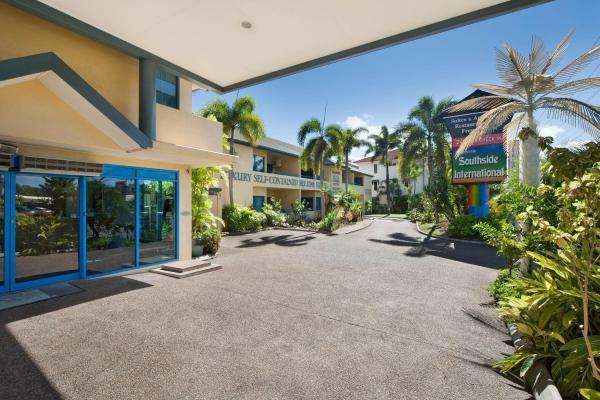 Just 5 minutes’ drive from central Cairns, Coral Reef Apartments offers self-contained accommodation with a TV, DVD player and free Wi-Fi. It features a palm-fringed swimming pool and a spa pool. This hotel is 5.28 km from city center. 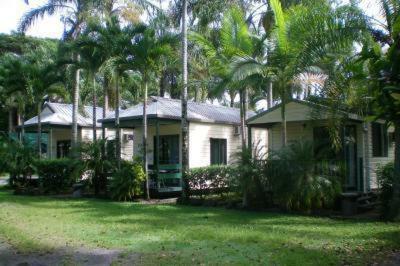 Set within 17 km of Cairns Convention Centre and 13 km of Cairns Flecker Botanic Gardens in Cairns, The Homestead: A peaceful Getaway offers accommodation with seating area. Complimentary WiFi is provided. This hotel is 7.99 km from city center. Boland Flats is set in Cairns, 3.8 km from Cairns Convention Centre, 2.5 km from The Cairns Civic Theater, and 3 km from The Center of Contemporary Arts. Free WiFi is featured. This hotel is 4.92 km from city center. 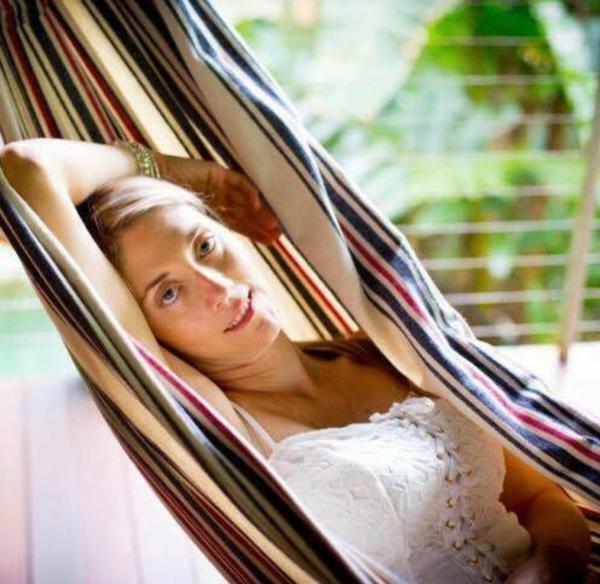 Set amongst tropical gardens and featuring an outdoor pool with hammocks to relax in, Tropic Days Backpackers is set in Cairns and provides free WiFi and a complimentary continental breakfast of breads, spreads and free tea, coffee and herbs. This hotel is 4.95 km from city center.